America’s farmers and ranchers face much uncertainty. An agricultural company is helping growers minimize uncertainty by providing enhanced protection in its products. Brett Ochs, Channel® corn product manager, describes the 2018 growing season as “pretty wild.” He talks about the challenges corn growers faced. He also points out issues growers need to keep an eye out for as they enter the upcoming growing season. Channel® will help growers overcome disease pressure in 2019, with its Protexus™ corn product. Ochs shares why the Channel® brand is excited to launch this product to growers. “It (puts) a big emphasis on plant health. We provide a package of disease tolerance to the five most devastating corn disease in the U.S. Our Channel® Protexus™ corn products focus on Anthracnose Stalk Rot, Gray Leaf Spot, Northern Corn Leaf Blight, Goss’s Wilt, as well as Southern Rust in some of the later maturities,” Ochs said. Ochs firmly believes the breadth of genetics, found in Channel® Protexus™ corn, can overcome any weather-related challenge. 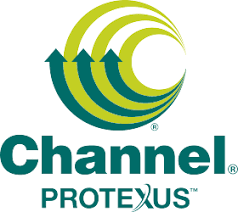 More information about Channel® Protexus™ can be found here.